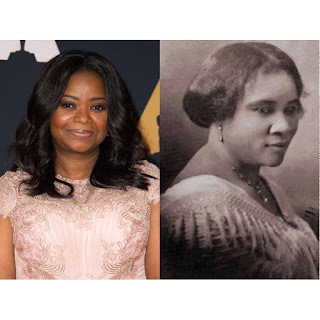 Octavia Spencer has signed on to play America’s first black millionaire in a new movie. The “Hidden Figures” star, who is up for a Best Supporting Actress Oscar later this month, is heading back to the early 1900s to play Madam C. J. Walker. “That’s another story that’s yet to be told and she’s an icon for the African-American community as well, definitely for women in the African-American community,” Octavia tells WENN. “I think it’s time that her story gets told in a manner that I think people will enjoy. The bio-pic will be a limited series and as of now has no network attached. The series will be directed by Kasi Lemmons (Black Nativity, Eve's Bayou) from a script penned by Nicole Asher. Spencer is also producing along with Zero Gravity Management (“The Accountant”).